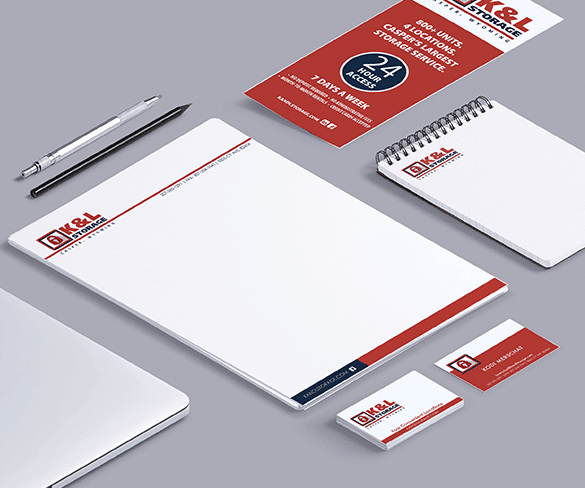 Looking for a new brand, and some fresh ideas, we were excited to get started. 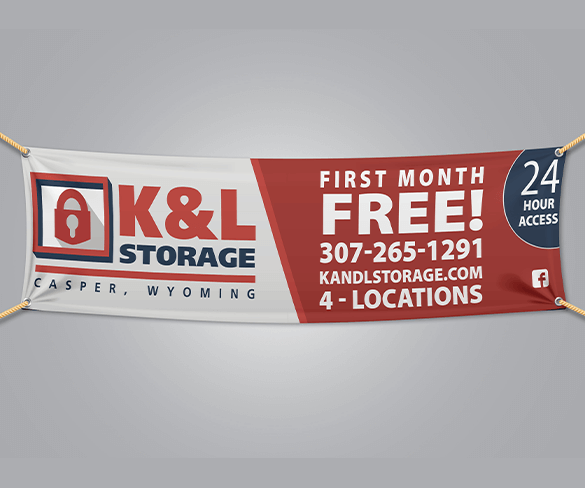 We developed a new brand, website, and a digital campaign to set K&L Storage apart from the herd. 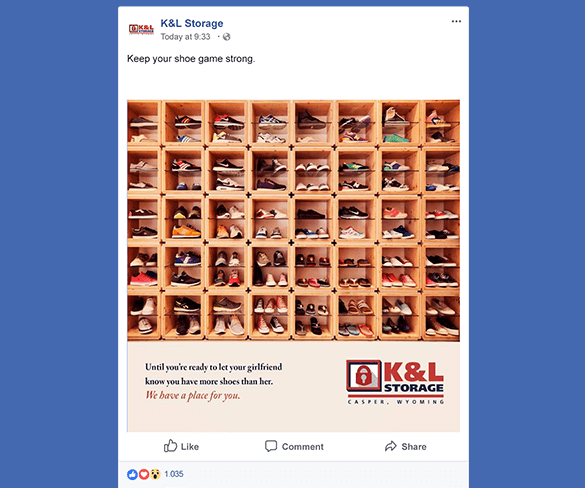 How do you keep the message for a storage unit fun? You start with a strategy meeting, then you let all the creatives do their thing! We had fun developing this messaging for their digital platforms that get people thinking. The idea was to be clever and off the cuff, rather than the typical "bullet point" sell. From what we've heard so far, it's working! Once we had the brand built we developed some fun campaign ideas to help them stand out. 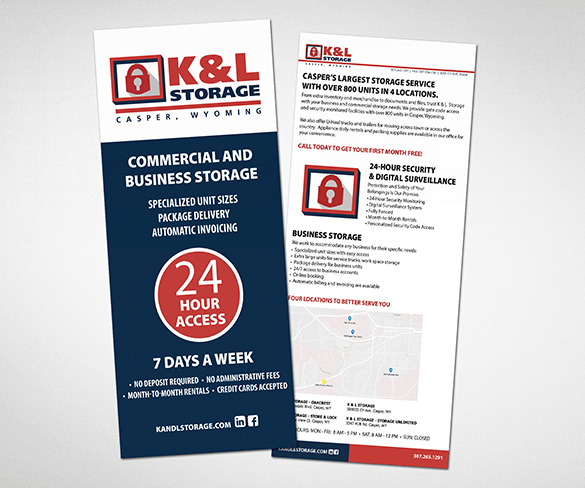 These turned out great and got people talking about their brand. It's always good to get a chance to try something a little different.